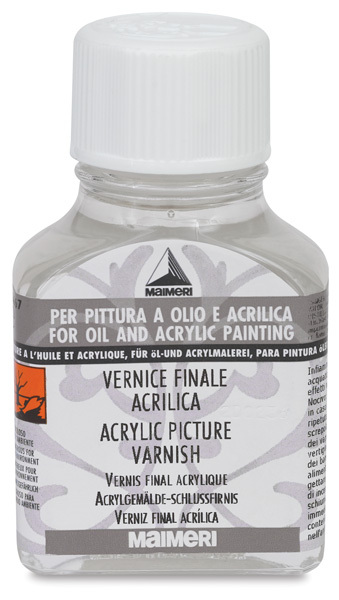 Maimeri Acrylic Picture Varnish is an easy-to-apply finishing non-yellowing varnish. 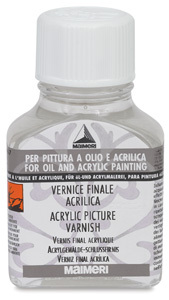 It has a UV filter that makes it very suitable for outdoor painting. It's housed in a glass bottle with twist-off cap.